Investing in real estate can be lucrative for many people. Yet, many need a way to reduce some of the risks of making such an investment. Instead of putting savings into buying property, most people turn to investment property loans. These loans allow well-qualified borrowers to purchase a wide range of real estate options. Investment property loans are not uncommon, but they are like any other type of lending option in which the borrower must prove he or she is worth the investment. More so, the borrower must show the value of the property. Like most real estate loans, the value of the loan is backed by the value of the property. To secure financing, the property must be at least the value of the sale price. Unlike buying a traditional home, most real estate investment loans have a significantly higher requirement for borrowers. There are fewer loan programs available to reduce these requirements. Most loans require a down payment. This is typically 20 percent of the sale price of the property. Mortgage insurance is not available for this type of real estate loan. In traditional residential home loans, mortgage insurance helps reduce some of the risks to the lender. Because it is not available, lenders want a higher down payment. That down payment helps reduce their risk. Some lenders may require some level of experience with property management. For example, borrowers seeking rental property loans must show they understand the industry and have experience in managing a property for some time. 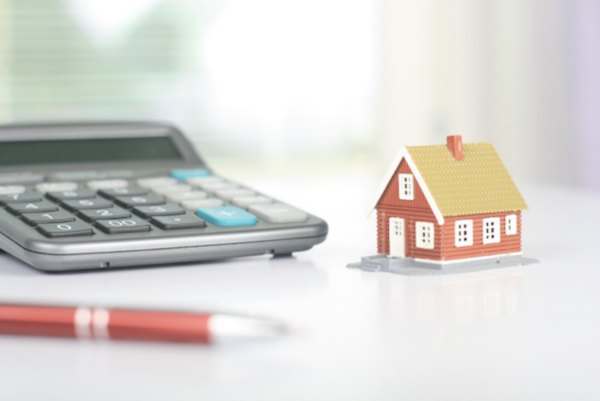 This is common in situations where the borrower wishes to use his or her rental income from that property as a tool to help qualify for the loan. Most often, lenders need to see the property is well-protected before they will provide a loan for it. Investment property loans typically require insurance on them. Depending on the location, the lender may wish to see additional protections. For example, if the area where the rental property is located is within a homeowners association, the lender may wish to see how the borrower will pay for those fees even if he or she does not have an income from the rental property. The Type of Property Matters, Too. To determine if they will lend, most investors also take into consideration things like the area and the demand for local rental real estate. They also need to know the type of property it is. Some loans are only available for residential properties. Others are available for commercial properties. But, some types of homes may find access to funds is difficult to source. For example, co-ops, manufactured homes, and timeshares typically are not as easily financed as other forms. Because of the increased risk, investment property mortgage rates tend to be higher than a typical real estate loan. Borrowers will need to be able to afford this. Higher interest rates mean that payments on the loan will be higher. Some lenders may reduce the amount of interest paid if the borrower is well-qualified and makes a sizable down payment. It is also important to realize these loan rates will change based on market conditions. Using Equity to Finance an Investment Property. Lenders always focus on risk when it comes to determining the interest rate charged on a loan like this. It may be possible to reduce some of that risk with equity. All real estate investment loans are secured loans. This means they are based on the value of the underlying property. To secure the down payment for this purchase, some borrowers may seek out their own homes. If a home has a significant amount of equity in it, it may be possible to use that equity to finance the purchase of an investment property. For example, if a person has a home worth $300,000 and owes only $160,000 on their existing loan, they may be able to use some of the $140,000 of equity they have to make a down payment on an investment property. However, it is important to communicate this with the lender. Some may not allow it because of the increased risk. For those who wish to invest in rental property, commercial property, or other types of investments, it is possible to do this. There are some lenders that specialize in this type of option. Yet, in all situations, borrowers need to show they can make loan payments on time and consistently and that the property is worth the investment. If this does not happen, the lender is unlikely to approve the terms of the loan. For some investments, though, these types of opportunities are worthwhile and can be profitable to both the lender and the borrower.